Apple’s brand new line-up of smartphones, the iPhone XS and iPhone XS Max are now available for pre-order on Flipkart. You can pre-order the phones on the e-commerce website right now, and shipping will begin from September 28 once the phone goes on sale. 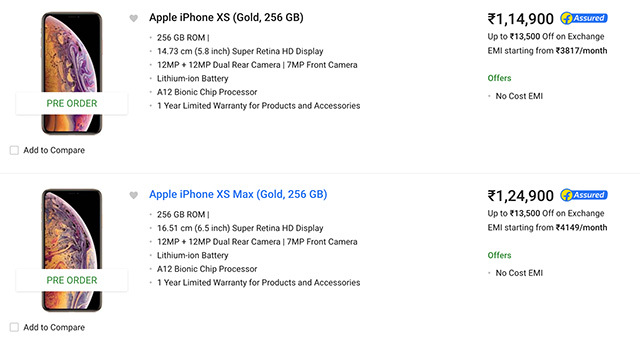 Flipkart has all the variants of the new iPhones available for pre-order, however, as expected, the base model of the iPhone XS (in all three colors) have already gone out of stock. So, if you are going to pre-order your iPhone on Flipkart, I’d suggest you hurry up. Up to Rs. 13,500 off on exchanging your old smartphone. 5% off on EMI transactions with HDFC credit cards. 5% off on EMI transactions with RBL Bank credit cards. Extra 5% off with Axis Bank Buzz credit cards. Other than that, there’s a one year warranty on the iPhone itself, and the in-box accessories. 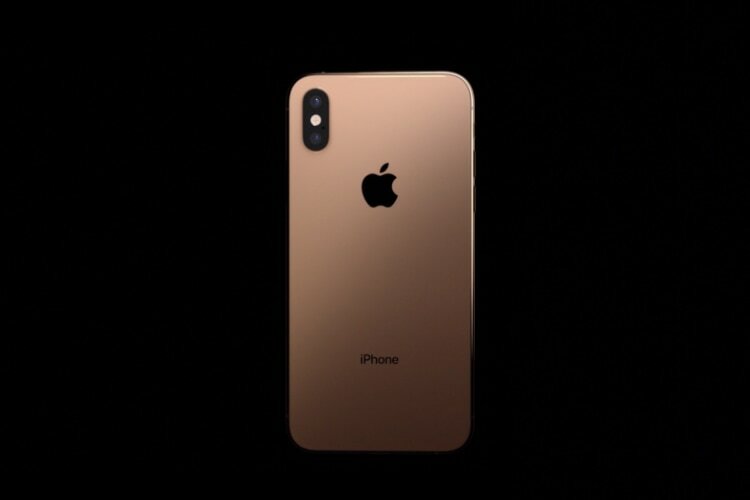 The iPhone XS and iPhone XS Max feature the latest 7nm A12 Bionic chipset, 4GB of RAM, along with a dual 12MP rear camera set up that now supports Smart HDR, and Depth Control. On the front, you’ll find a 7MP selfie shooter, and all of the Face ID tech (which, reportedly, is quite a lot faster than Face ID on the iPhone X).